Kindly refer to the latest shipping fees and charges in here and details about the charges. 3. 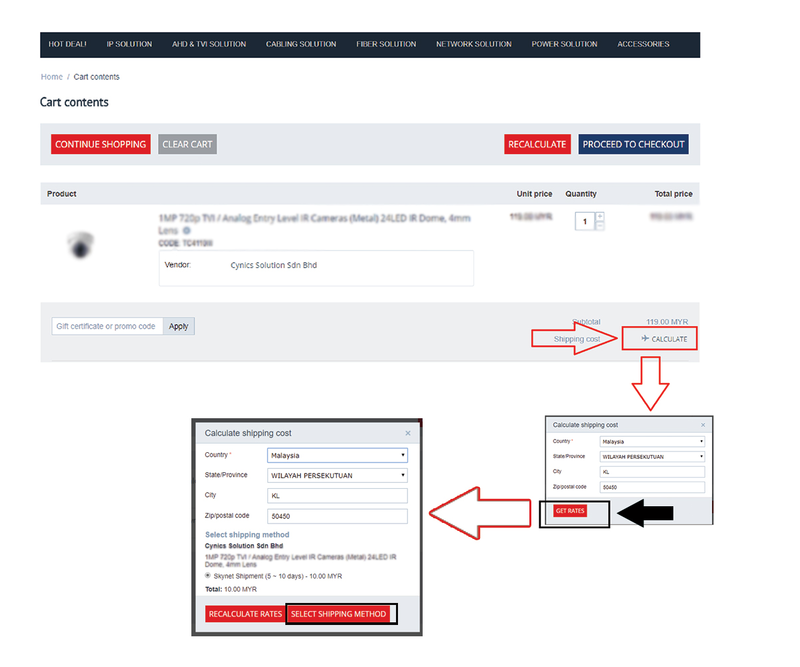 After done the above and choose shipping option, shipping charges will be calculate and shown in your cart page. 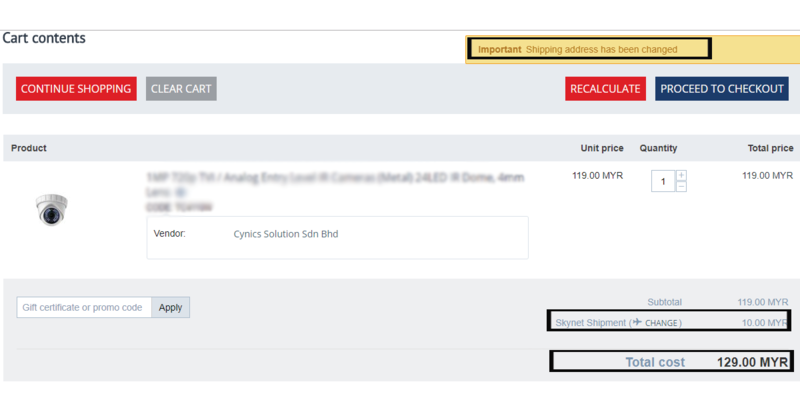 You may continue add item into your cart and need to RECALCULATE the shipping charges to update it to show the accurate charges that will appear in checkout page. 4. To recalculate shipping fees, just click on RECALCULATE buttom shown in cart page and your browser will refresh the page and update the latest shipping charges.